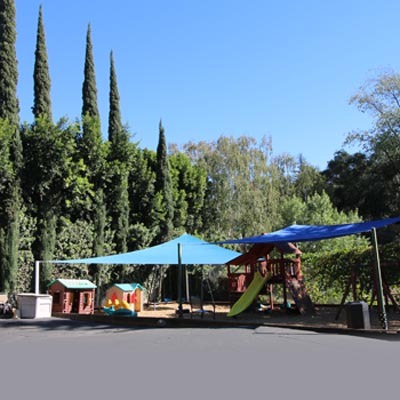 Welcome to Flintridge Montessori School located in the beautiful city of La Canada Flintridge at the base of the Foothill Mountains, in sunny California. With a student capacity of 120 for children 2-6 years of age, we offer one of the most outstanding Preschool and Kindergarten Montessori programs within the Los Angeles area. Our Mission is to provide children with quality education and attentive care in an atmosphere of love, which promotes learning and successful socialization. In addition to encouraging academic achievement, we strive to help the children develop joy in sharing and take pride in self-reliance. Visit us today and take a tour. Find out why a Montessori Education can make a difference for your child. Call Rohini David, the school Administrator on (818) 790-8844 for an appointment. In preparation of this site, every effort has been made to offer the most current, correct, and clearly expressed information possible. Nevertheless, inadvertent errors in information may occur. In particular but without limiting anything here, Flintridge Montessori School disclaims any responsibility for errors and accuracy of the information that may be contained on this web site. The information and data included on this site have been compiled from a variety of sources, and are subject to change without notice to you. Flintridge Montessori school makes no warranties or representations whatsoever regarding the quality, content, completeness, suitability, adequacy, sequence, accuracy, or timeliness of such information and data. Make an appointment and we will give you a full tour. Discover the power of a Montessori Preschool education. Give your child a head start.